Founded in Concord in 2010, the law firm of Lancaster and St. Louis, PLLC, provides quality legal counsel and effective representation for clients in Cabarrus County, Mecklenburg County and Rowan County, North Carolina. 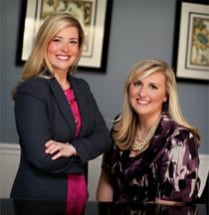 Attorneys LeAnn Lancaster and Hilary St. Louis take an energetic and creative approach to helping clients resolve complex legal matters that impact the lives of individuals, families and business owners. Attorneys Lancaster and St. Louis are dedicated to providing exceptional client service and committed to making a positive difference in the lives of every client. With a strong emphasis on North Carolina family law, they know how much a serious legal problem can affect the futures of people who are facing difficult legal, personal and financial challenges. Family law, including all issues related to divorce, paternity litigation, custody matters and post-judgment modifications. Estate planning, including wills, trusts and probate administration services. Real estate, including purchase and sales agreements for commercial and residential real estate, title work and attending closings. At Lancaster and St. Louis, you work directly with your attorney but get the benefit of a team approach. Trust Lancaster and St. Louis to provide quality legal representation and superior client service. The outcome of a divorce can have a significant impact on your parental rights and financial security. If you are involved in a divorce or other family law matter that impacts your custody or visitation rights, it is critical that you retain a skilled and knowledgeable family law attorney. If you need an attorney to protect your rights in a child support matter, contact Lancaster and St. Louis. If you are involved in a divorce and you or your spouse may seek alimony, it is critical that you retain a knowledgeable family law attorney to ensure the protection of your rights.